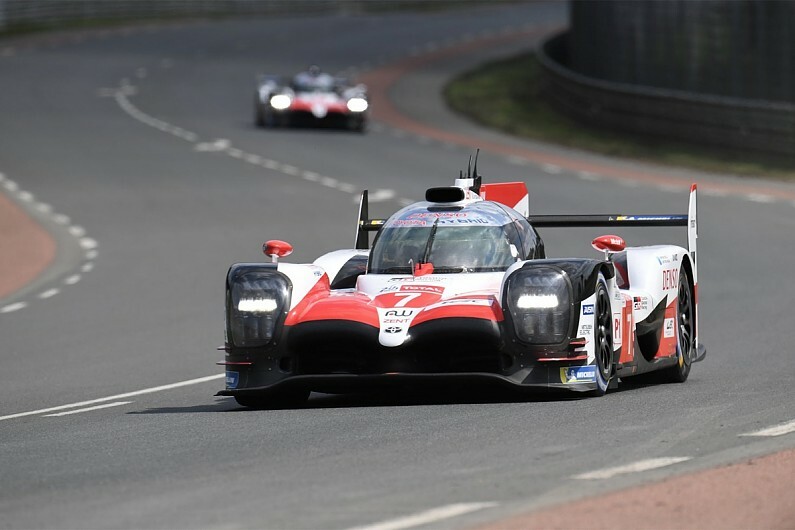 Toyota LMP1 reserve driver Anthony Davidson has likened his team’s extreme focus on reliability for the Le Mans 24 Hours to how “NASA would approach a space flight”. The past two years Toyota brought the quickest car to the Circuit de la Sarthe, but missed out on the win due to technical gremlins. In 2016 its leading car broke down on the main straight with five minutes to go, and last year a spate of freak incidents ruled out its three contenders. After two years of heartbreak Toyota has gone to extreme measures to prepare for unforeseen circumstances, including completing a lap of the MotorLand Aragon circuit on three wheels just to test how it could mitigate the damage. “We’ve tried to replicate everything we think that could possibly happen in a race situation,” says Anthony Davidson, who has moved to a reserve driver role to accommodate Formula 1 star Fernando Alonso’s arrival at the team. “We’ve been to Portimao, Aragon, Paul Ricard. We were focusing on all the things that could go wrong and having a back-up option for all of them, in many ways like NASA would approach a space flight. “We know the car inside and out like never before. We’re in a much better place as a team. Technical director Pascal Vasselon adds the Japanese marque has simulated artificial problems during testing to train its crew on how to deal with unforeseen events. “In the past years we did not fail because of performance or fundamental reliability issues”, Vasselon explained. “The main reason we didn’t win Le Mans was the way we handled unexpected problems. “Nearly every stint of our race simulations we were triggering a problem which the team had to sort. You can call that paranoia, engineers call it risk analysis. “For the mechanics it was a bit of a shock. In the past our car was reliable and the mechanics were just waiting in the pits. As a result of its efforts Toyota is confident the problems it suffered across the 2016 and 2017 editions would now be survivable, but Vasselon admits the Cologne-based outfit cannot be too confident about the reliability of its TS050 Hybrid. “In 2016 we failed because we lost one bank of cylinders because the turbo feed broke,” Vasselon said. “If the same thing happens now we are able to disable one cylinder block. “We would do a lap in four minutes, but we would [make it back]. Our clutch is heavier and able to handle an unconventional start.